We have 2 types of boats depending on your experience and needs. Ideal for those who wish to fish/ cruise, Gatakers Bay and Toogoom. Perfect for a trip to Round Island or a day fishing or cruising in Hervey Bay. Got a Boat Licence – GREAT!!! If you have a current Australian Boat licence, you can hire one of our Quintrex 4.20 meter Dorys, with 30 h/p outboard engines. As you will appreciate, we will only hire these boats if you do have experience in handling this type of craft, and undertake to operate the vessel in a responsible manner. These boats can be collected and returned to our premises in Hervey Bay, for a daily rate of $190. Our Quintrex 3.9 meter explorer boats, are purpose built for those who like the idea of boating and fishing but have yet to get their boat licence. They come with 6 h/p mercury outboards, and are very simple to operate. For the cost of $45 p/h, we will meet you at one of our nominated boat ramps and spend between 10 and 15 minutes briefing you on the safe operation of the vessel, navigational limits, obstacles, tide times, emergency procedures, etc. Once you are comfortable handling the boat, you’re away!! We will meet you back at the boat ramp at the agreed time, finalise the paper work, and talk about the “one that got away”. These boats come with sunshade, full fuel, an esky and even fishing gear! 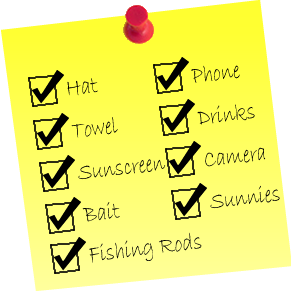 (Dont Forget your Bait) In short everything you need for a relaxing few hours fishing or just exploring our beautiful water ways.